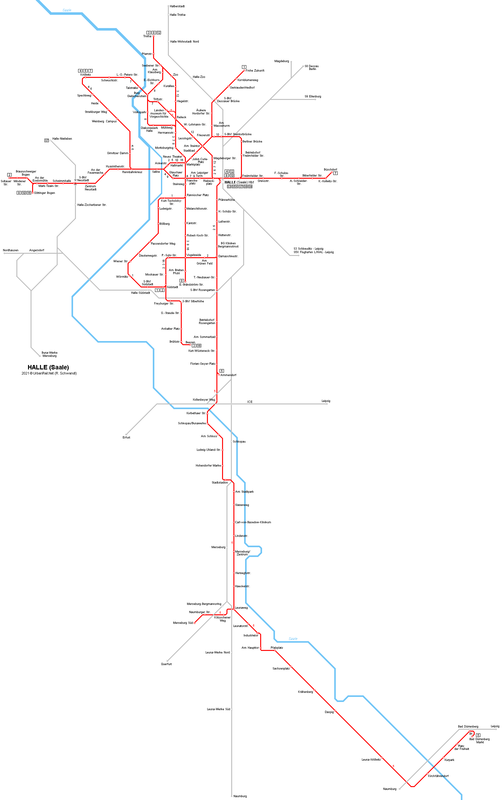 Click on map to expand south to Merseburg & Bad Dürrenberg! 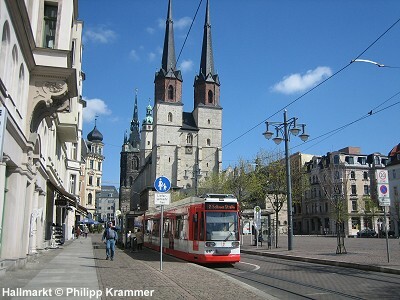 Halle (Saale) - approx. 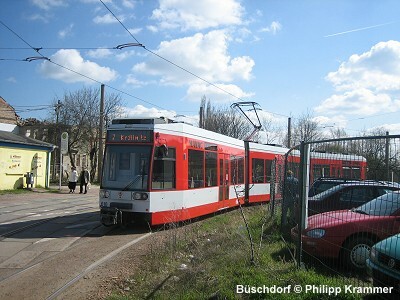 233,000 inh. 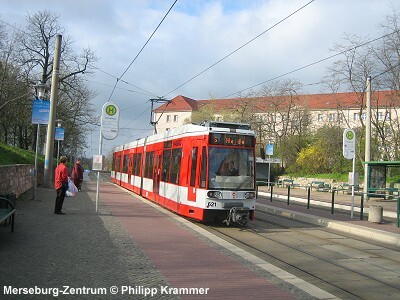 ; in the state of Saxony-Anhalt, 30 km west of Leipzig. 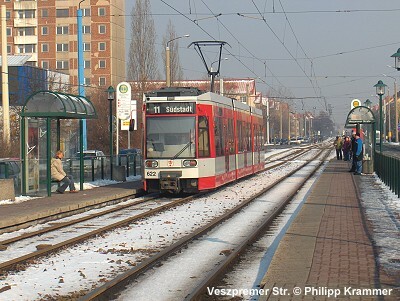 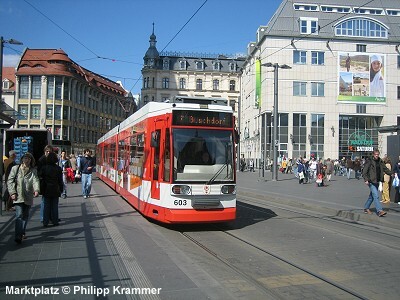 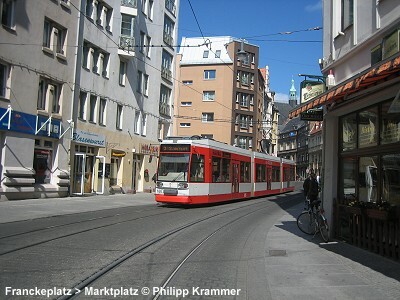 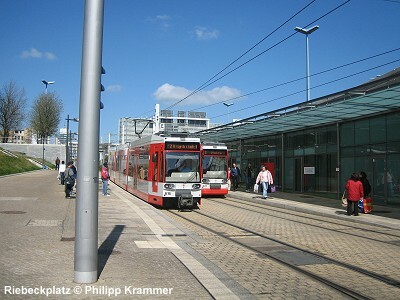 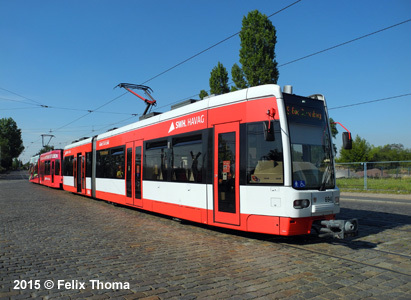 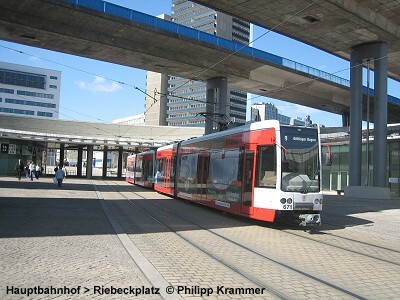 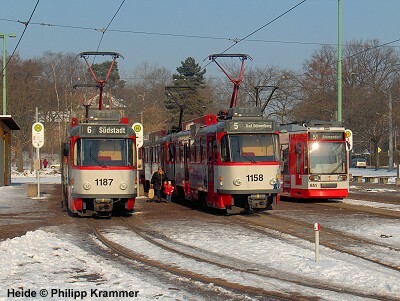 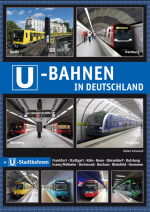 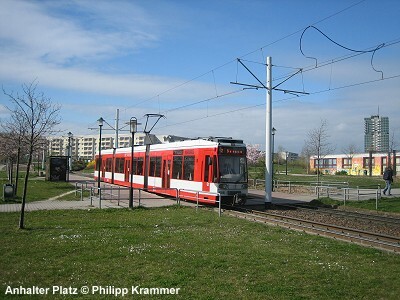 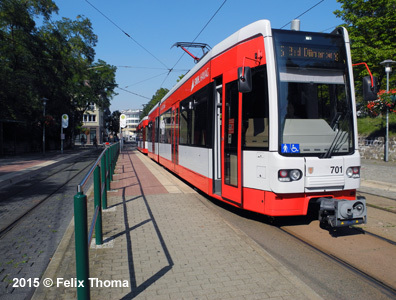 Halle has a 20 km, U-shaped S-Bahn service (S7) on mainline tracks, with an underground station at Halle-Neustadt. 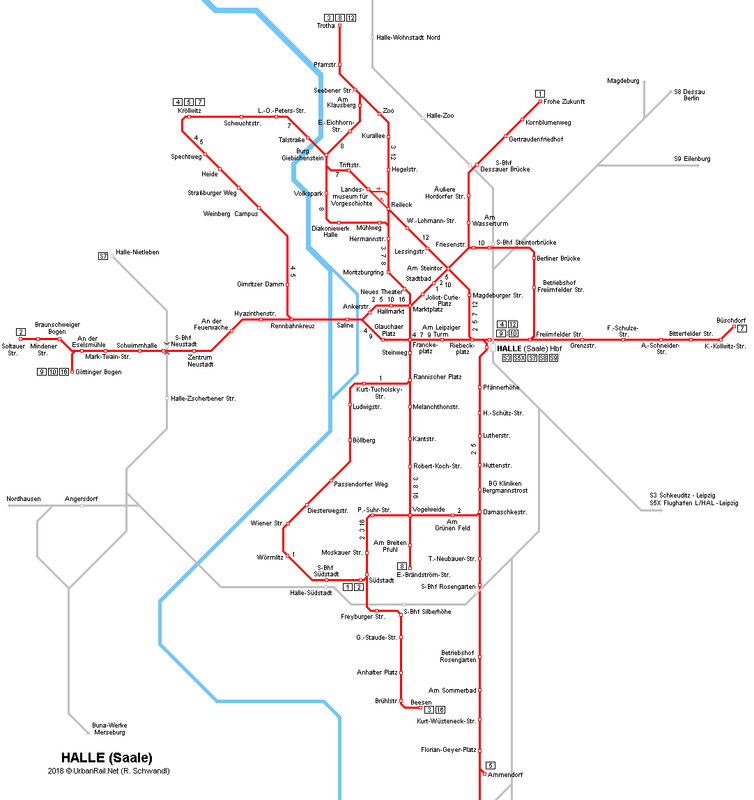 Halle is linked to Leipzig via S-Bahn lines S3 and S5X.